Finnish musician Mika Vainio is likely an inspiration to anyone who loves the sensation of electrified sound in its raw form – bare, exposed, vibrating, voltaic. 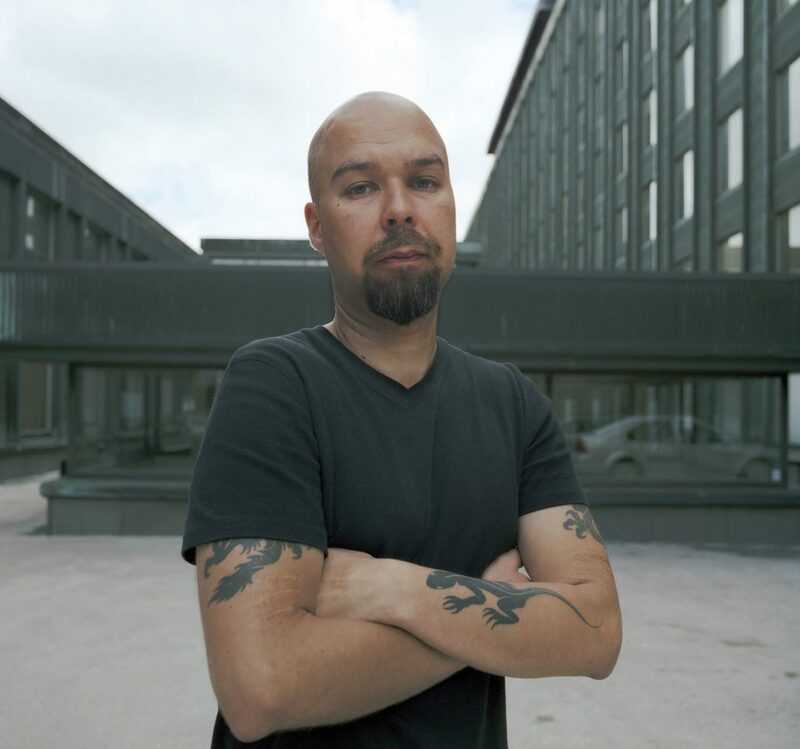 Mika Vainio is a thread running through so much of experimentalism in the past three decades of electronic music – noise to industrial to techno. News reaches us today that he died at the age of 53. If now electronic music’s dark underground vein has become popular, then his fingerprints are all over that transformation. I can see just how many people he’s touched and how deeply moved they’ve been by his work just by browsing through my social feed, which has become flooded with remembrances. In addition to being a solo artist (under his own name, or Ø or Philus), he is co-founder of Pan Sonic (originally dubbed Panasonic), co-founder and label head of the Sähkö label (with Tommi Grönlund), and contributed an extraordinary roster of collaborations with figures like Fennesz, Merbow, Franck Vigroux, and Charlemagne Palestine. And he developed an idiosyncratic approach to hardware performance, eschewing anything like a laptop in favor of minimal, noisy configurations of hardware, applied with restraint and unleashed into sonic ecstasies. The first time I saw Mika Vainio was at an intimate show at NK in 2011 ([curated by] Farahnaz Hatam). He had a large homemade rig covered in unlabeled knobs, on which he played what seemed like 10 minutes of piercing high tones, and 15-20 minutes of punishingly low tones. Then he slinked back off and I tried to digest one of the more sonically extreme performances I’d seen. The second time was at Berghain, 2013. He’d released his album, Kilo, and fittingly his live set had changed to include a few samplers/drum machines (Korg Electribes, if anyone’s curious), and some massive heavy metal Ampeg amps. His hair was longer. It felt suitably over-the-top and heavy. It’s fitting to see Mika Vainio’s legacy as a kind of long tapestry – his approach to electric sound itself treated it as medium, as fabric. Here he is live, demonstrating how cosmic voids could open up out of impossibly minimal rigs, as if he had opened up a door to another dimension. We hope he’s found his way into that dimension – and our deepest condolences to his friends and family. We’re profoundly sorry to see him go. Electronic music and the art of textile share many traits such as machinic repetition, processes of layering and textural development. In a rare encounter between electronic abstract music and the art of tapestry, the electronic music virtuoso Mika Vainio has composed a new composition called Trollklangveggen based on Hannah Ryggen’s work Trollveggen.